The spine naturally curves slightly; however, in some people, the curvature goes beyond a normal degree. 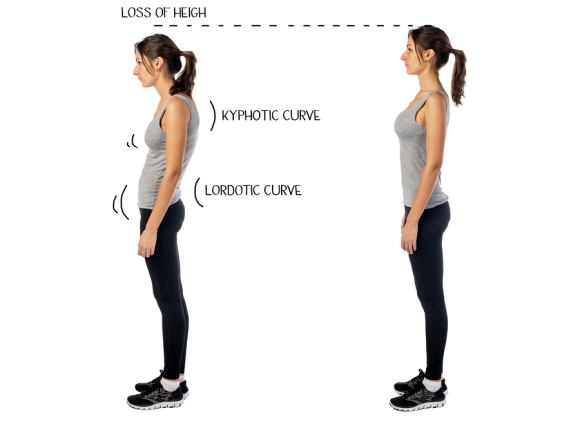 If spine specialists near Miami have diagnosed you with kyphosis, it means that the upper spine has rounded forward. For many people with kyphosis, the only symptom of the condition is a slight hump on the upper back. Sometimes, a severe curvature can result in neck pain and lower back pain. Most often, an orthopedic surgeon diagnoses kyphosis in older women. This is because older women are at a higher risk of osteoporosis. This condition can lead to compression fractures and a subsequent rounding of the upper back. Other possible causes of kyphosis include birth defects, spinal cancer, cancer treatments, disc degeneration, and Scheuermann’s disease. Most individuals with kyphosis never require treatment. Spine specialists may recommend supporting bone health with a proper diet and weight-bearing exercises. When growing children are diagnosed with kyphosis, back bracing may be an appropriate treatment option. Less commonly, an orthopedic surgeon may recommend spinal fusion surgery.